The Kogarashi Floor Lamp strikes the perfect balance between strong and subtle with its regal height and minimalist aesthetic. 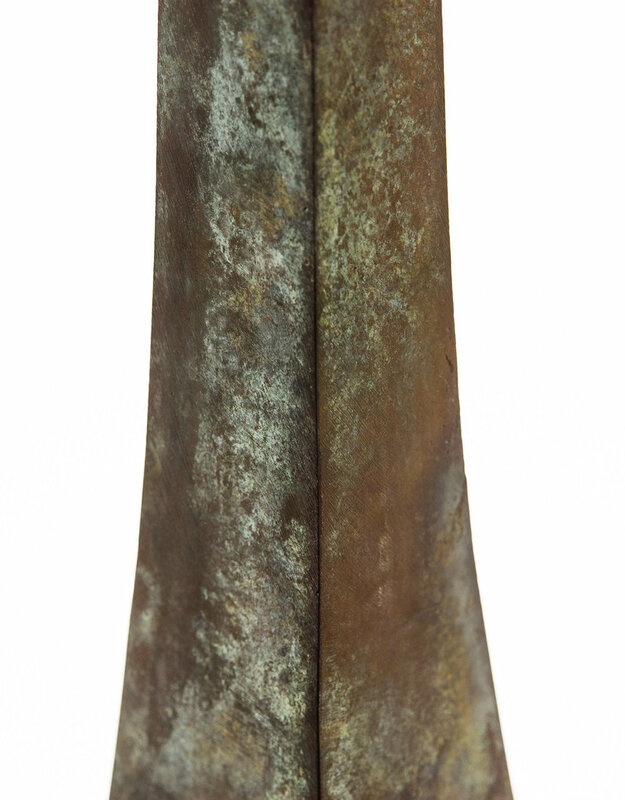 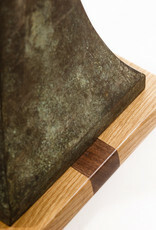 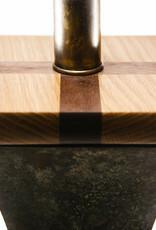 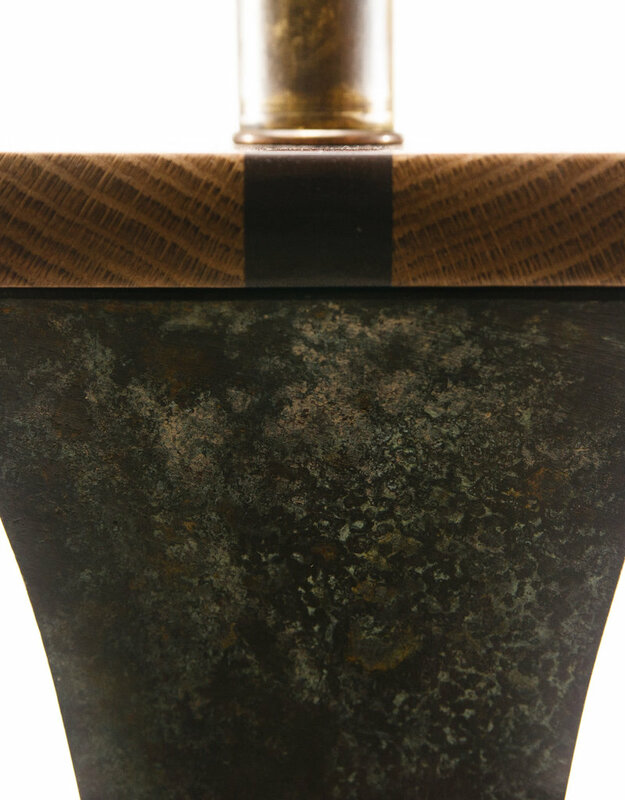 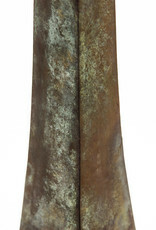 The archaic patina finish eludes a sense of depth and history creating an overall alluring piece. 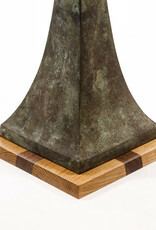 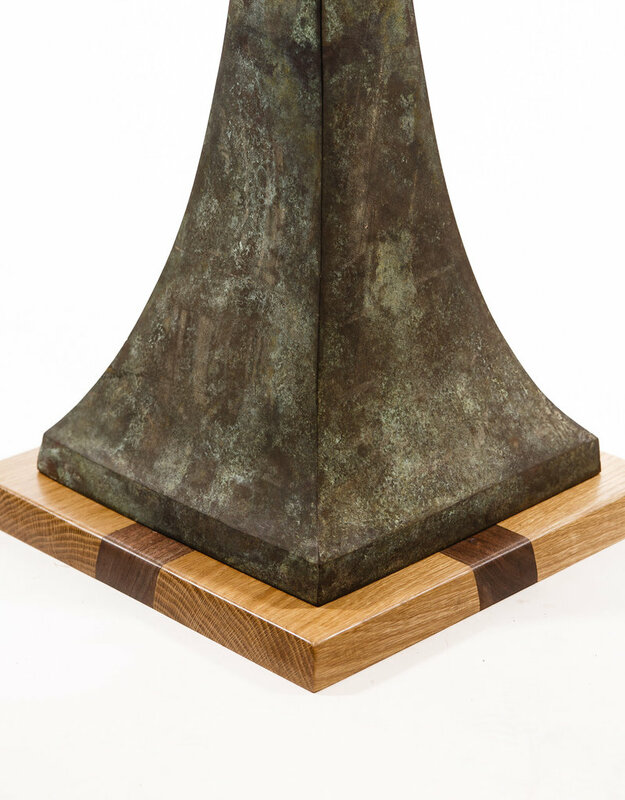 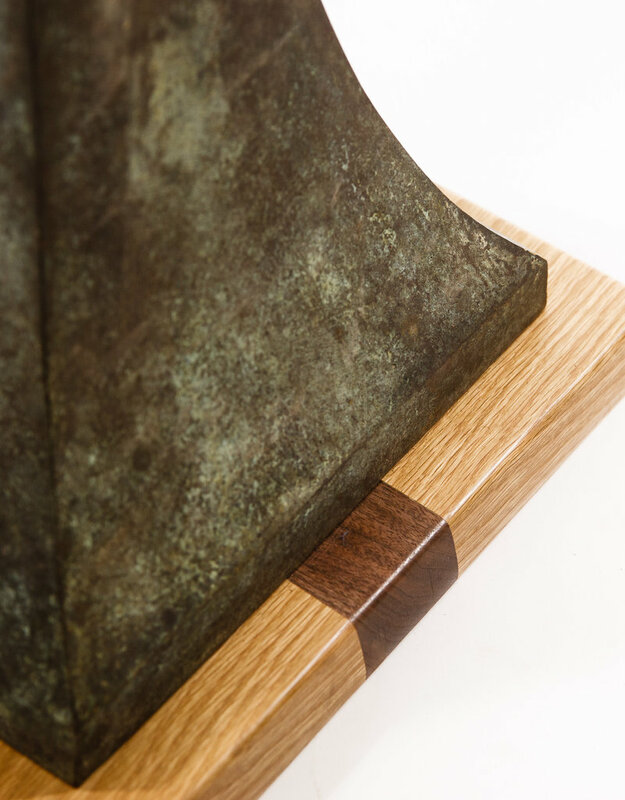 Every archaic bronze vessel at Lawrence and Scott is individually sand-casted and buried underground for upwards of seven months to achieve its unique patina. 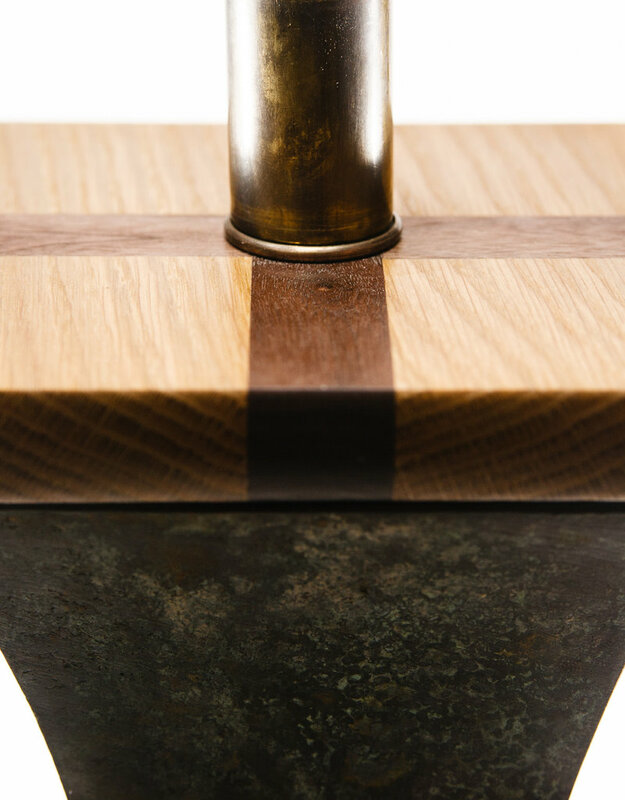 The intricate wooden details- including the cap, stand and finial - are meticulously carved and turned by our in-house craftsmen with the most exquisite material. 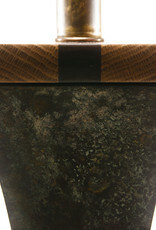 All lamps are fit and finished with one of our renowned, handmade shades. The Kogarashi Floor Lamp strikes the perfect balance between strong and subtle with its regal height and minimalist aesthetic. 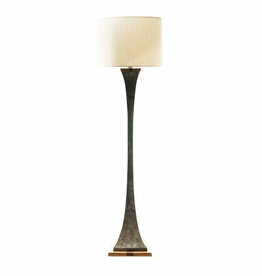 Lawrence & Scott Kogarashi Floor Lamp 71"